Hiller's paintings are the abstract interpretation of her obsession with perfection, speed and overwhelming technology. 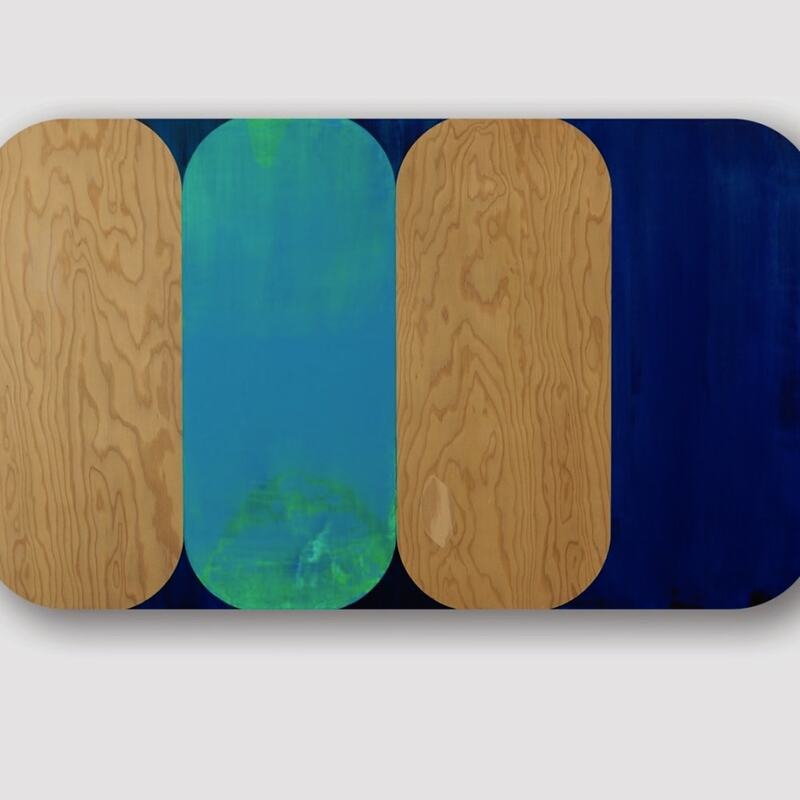 The soft shaped panels, combined with the hard edge use of materials, is the visual language the artist uses to convey the most meaning through the simplest of forms. Living in nature as well as in an urban environment compels the artist to create work that appears plastic, tactile and machine made with hints of her surroundings. The visual conversation between the paint and forms culminates in Hiller's softly linear objects-- evocative of something slightly familiar, yet unknown.